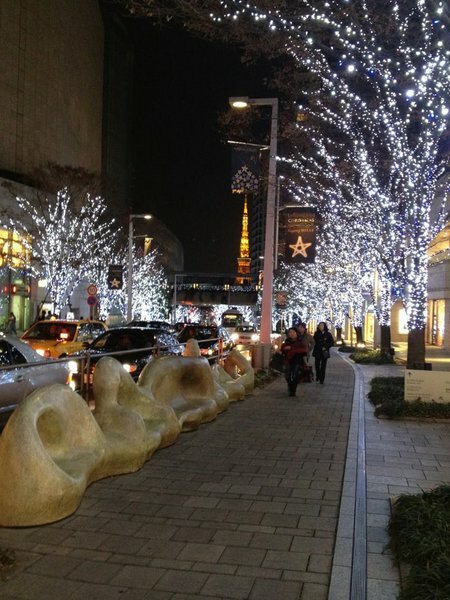 Took this photo near Roppongi Hills couple of nights ago. Next week, I will be heading back to OZ for couple of weeks, few nights in melbourne and just over a week in Sydney. Looking forward to getting some tan back, and enjoying the OZ life. 9 of my TOC Academy kids will be attending the Sydney camp, which will be the 3rd International camp between TOC and Futbol Tec. As for my 1st grade team, Waseda United which belongs to Tokyo 1st division, we finished the season 6th from 15 teams. Not too bad for our first year after being promoted from the 2nd division last season. Obviosuly much tougher than the 2nd division, but I feel we can do quite well in this league, and I am confident that next year we will finish higher than this season. We have some exciting new players joining our squad for the next season, and although we have a long way to go yet, we will be playing more of football to entertain! !